When adopting your next puppy or adult dog, please consider the impact that purchase may have on the long term welfare of the breed. Adopt your dog from a responsible breeder who cares about the breed's future. When consumers refuse to purchase from pet stores and back yard breeders, they are sending an important message to these enterprises and, we believe, it is ultimately through the consumer that change will occur. If you are interested in adopting a puppy, please contact us about planned litters. We also occasionally have adult dogs to place. Click here to complete and submit an online application. Our written agreement outlines the basic expectations for the care of the puppy and what the new owner can expect from us. AKC Registration Applications are provided after a specified waiting period. This is outlined in the contract and bill of sale for each puppy. (Full details on AKC recordkeeping requirements and registration are available on line at http://www.akc.org/.) We strive to place each puppy in the home that is best suited to the specific temperament of the puppy. The sire and dam are at least two years old. Health certification information on the sire and dam will be discussed. A three-generation pedigree for the litter will be provided. A copy of the national breed club Code of Ethics is provided and discussed. 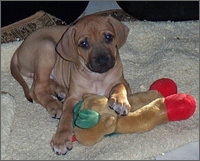 All puppies are examined by an Arizona licensed veterinarian prior to placement. Information on diet and feeding instructions is provided when the puppy goes to its new home. New owners will provide a loving home for their puppy or adult dog and it will be viewed as a companion and family member. The dog will receive appropriate veterinary care and vaccinations over the course of its life. Prospective owners will stay in touch and give us periodic updates on the dog. If for any reason the dog can no longer remain in its home, it must be returned to us. We do not sell or broker puppies to wholesalers, brokers, dealers or retail shops. We do not provide puppies as prizes for auctions and we do not support the concept of "designer dogs." Are you prepared for that new family member? Informational articles about Tibetan Spaniels are available through the Tibetan Spaniel Club of America, Inc. website: http://www.tsca.ws/.